Support the troops. 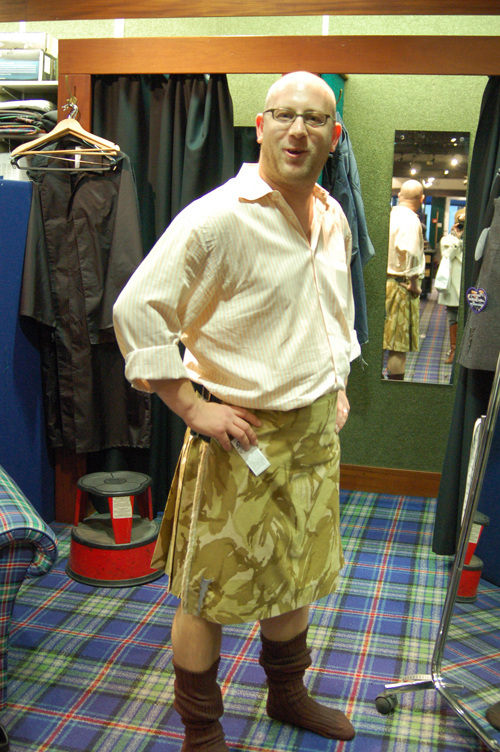 I am, by wearing a kilt. It was an interesting experience. 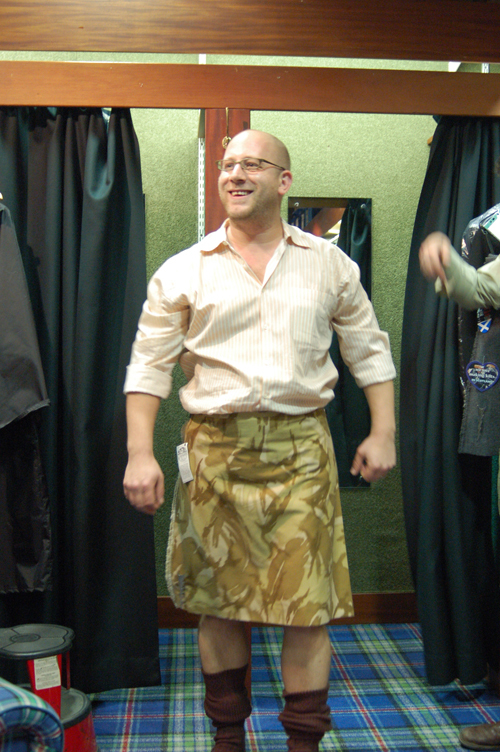 I wore it “authentic,” which was an interesting experience. 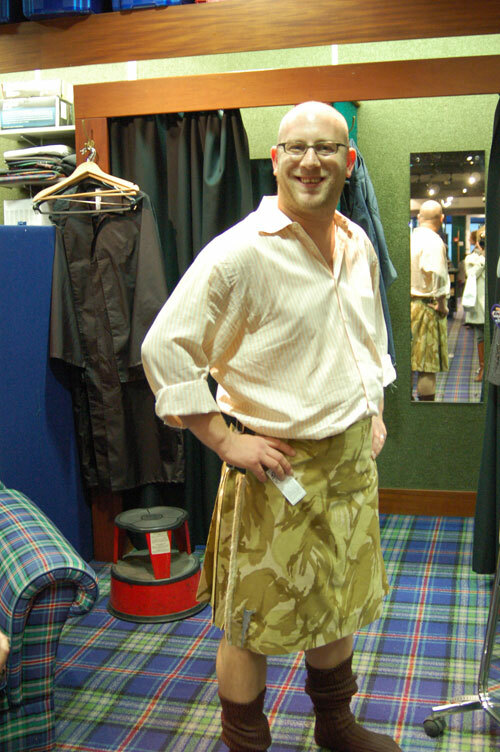 My nads were a lot hotter than I expected, making me wonder under which conditions one would wear a kilt. Do you let your balls broil or calves freeze? Oh, speaking of calves, feel free to salivate over mine. 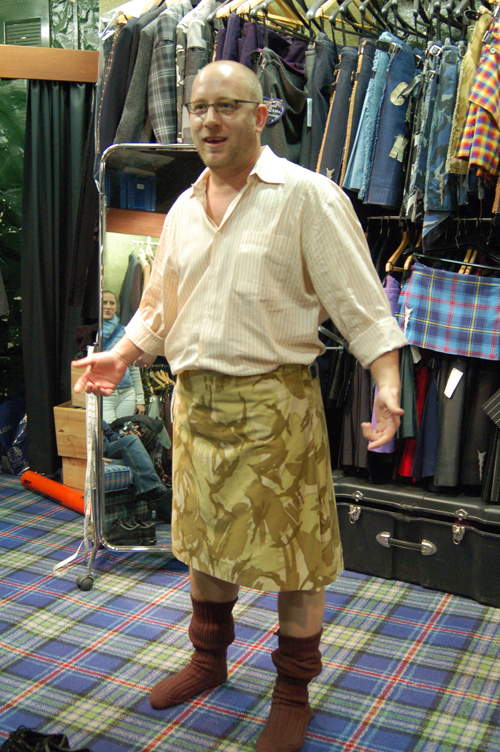 This entry was posted in Scotland, Travel and tagged Edinburgh, kilt, Scotland, true Scot on November 18, 2008 by Tom.